On most weekends you can find our family out hiking around different parts of Colorado. 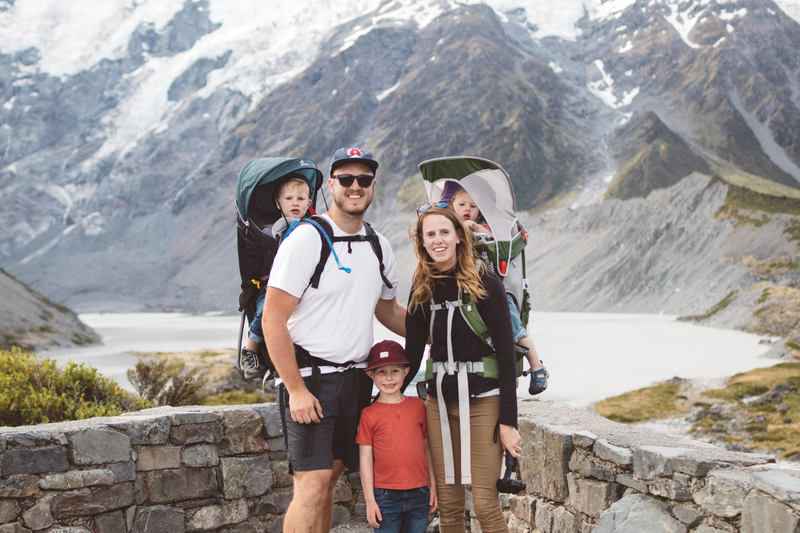 For us hiking allows us to slow down, explore and enjoy time as a family. There are no distractions or places to be, just the mountains and us! We feel very lucky to live in such a beautiful place and explore it with our kids! Hiking honestly allows for a different experience each and every time we go! The landscape, the colors, the textures, and the wildlife, I don’t know how you could ever get bored! However hiking with toddlers can sometimes be a whole different story! We like to be creative with our hikes and find trails that offer more than just walking! We find trails that our kids can explore lakes, waterfalls, rock formations and wildlife. I think kids, or at least my kids, are more than just visual they like to touch, climb, throw and explore. Throwing rocks into the water, playing in the river and climbing on boulders, these are the moments that my kids remember. This past weekend we went to a Devil’s Head Lookout trail where there is a Fire Lookout Tower at the top of the mountain! We decided to do things a little differently and actually tell our boys (who are 4 and 2) about the Lookout Tower. We showed them pictures and told them a little bit of history about this place and from that moment on they were excited. Our boys couldn’t wait to go explore and “look” for fire. I think at that moment they thought it was their very own fire tower! If you can imagine our boys are big fans of fireman! On Saturday morning we set out for the trail. Devil’s Head is located in Pike National Forest about 60 minutes from Denver. It has amazing rock formations and offers incredible views of the foothills, Pikes Peak, Mount Evans and downtown Denver! The hike is beautiful and a constant gain of 900+ ft. in elevation the entire way. So for toddlers it’s a little bit of a strenuous hike! About half way I asked our oldest, who was crying at that moment (due to falling), if he want to turn around and head down the trail. In his tiny voice he responded saying, “no, I want to keep going to see the fire station”. Their determination and perseverance paid off. They knew what was waiting for them at the end of the trail and they push through the hard, rough terrain and completed what they started! Our boy’s reaction when they reached the Fire Lookout Tower was priceless! This is definitely a hike that will go down in the books for them. They are still talking about how cool it was and asking when we can go back. I don’t think they remember the 5 hours it took for us to complete this hike. They just remember the memories we created and the feeling of accomplishment and victory at the top of the mountain. And because of that I will hike 5 hours all over again for them to have those memories! This past weekend we decided to take our boys skiing for the first time. My husband is a avid snowboarder and has been anticipating taking our boys skiing since they were born. For some reason his soul craves the rush of adenine and powder covered mountains and he wants our boys to experience that too! After arriving to the ski resort and getting settled in we went back and forth as to weather to rent ski’s for our 2 year old son. Our son Eli is a bit stubborn at times. When he wants to do something he does it whole-heartedly, but when he doesn’t want to do something— you know how it goes. But we went ahead and rented him skis anyway! After getting all there gear we headed to the bunny hill to teach them the basic techniques. Although the start was a bit rough, the boys quickly took to skiing. The first several times we went down holding the back of their snow pants reminding them to make a pizza to slow down. Once they got the hang of it they no longer wanted our help and wanted to go up and down the hill on their own. They were so excited to show us that they could do it independently. From that moment on it was up and down and back and forth on the hill all morning long. The boys fell a couple times, but quick got back up without complain. Falling seemed to not faze them at all. And at noon we had to convince the boys to come off the hill to eat lunch. After lunch, they insisted on us letting them go back to ski some more even though we could tell they were tired. So we made our way back to the hill and let the boys continue to ski. They decided to step up their game and like most brothers turned there skiing into a competition. To them this was the best day ever! The next day our oldest son did a couple more practice rounds on the bunny hill and then decided he was ready to take on the mountain. So he and my husband rode the ski lift to the top and begun the decent down. When they reach the bottom his face was glowing from excitement. I think its safe to say that there will be much more skiing in our future. Time and time again my kids show me that they can and will rise above if they are given the chance. Kids are amazing. I think we sometimes under estimate what they are capable of. I know I do. I am so proud of our boys I honestly didn’t know how this was going to go or if they would even enjoy it due to them being so young. BUT it was so fun watching them independently conquer the mountain and fall in love with skiing. The joy and excitement on their faces was worth it all. This post is featured on Family Trails.